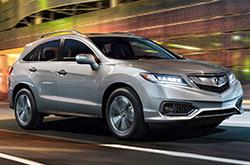 The 2016 Acura RDX is back with more features, a sleeker look and improved efficiency. With the most contemporary technology and a luxurious ambiance, buyers looking for a small crossover in the Phoenix area will be pleased with what they find in the new 2016 Acura RDX. When it comes to the RDX, there is no trade-off between class and capacity; test drive a 2016 Acura RDX in Peoria and see why we believe it is exactly what you're expecting in a small luxury SUV. The powerful new 3.5-L V6 engine provides an important performance boost while the 6-speed automatic transmission features sporty paddle shifters so that any ordinary ride can become an adventure. But, whatever the adventure may be, you can ride easy with the smooth & quiet ride feature, a standard aspect of the vehicle that reduces noise, vibration and harshness. Beyond our top-notch performance standards, the RDX comes standard with a multi-view rear camera, a keyless entry system, hands free messaging, Bluetooth technologies, a premium security system and the classic Acura jewel eye headlights. In addition, consumers are given the option of adding a navigation system, the AcuraWatch plus warning systems and remote engine start programs, among other features. The 2016 RDX was engineered with each customer's needs in mind. So, if it's a safe, stylish, intelligent and efficient luxury crossover that you desire, we are sure you will find the features you need in the 2016 Acura RDX in Peoria. There is a reason that 2016 Acura RDX reviews count the RDX as a "solid choice for a premium small crossover." With an extensive list of standard features and an efficient engine that boasts an EPA-estimated 20 miles per gallon in the city, the RDX contributes the safety, power, sport, and luxury that high-end crossover buyers in Phoenix seek. 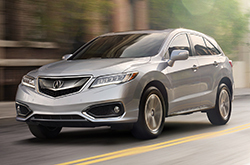 To see for yourself, stop by and test drive an all-new 2016 Acura RDX in Peoria. We dare you to compare the latest RDX model alongside class rivals like the 2016 Infiniti EX, Volvo XC60, Cadillac SRX, Audi Q5 and the BMW X3. That's how confident we are that it's perfectly built for you. The RDX's unique features and affordable price are just a few of the outstanding qualities that shoppers will be thankful for. 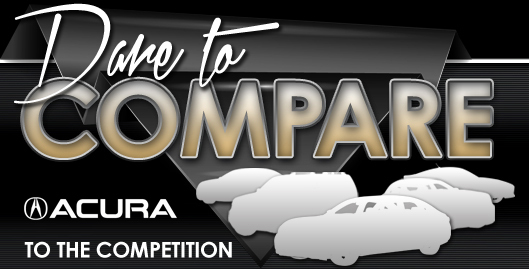 Hundreds of Peoria Acura drivers choose it because it's a fabulous value; just compare its price to the forementioned vehicle options. Find out more info in our bullet list below this text! Make the most out of your next Acura purchase. Acura of Peoria offers reviews like the 2016 RDX one above, along with reviews of older models, so you can research before you buy. 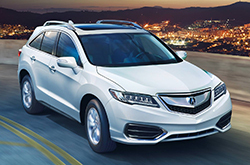 There is a reason why we are one of the Peoria area's foremost Acura dealers. Just one reason is that we provide reviews authored by skilled automotive writers. Once you start in on reading, you'll find that this article is up to the hilt with vehicle specs in a clear layout that's easy to read. Use it to get the info you need to make an sound purchasing decision. Learn more about our highly-rated lineup of vehicles; visit the research library to review and compare other models offered by Acura of Peoria now!